There is no biological requirement for cow’s milk. It is nature’s perfect food but only if you are a calf. The evidence of its benefits is overstated, and the evidence of its harm to human populations is increasing. And the media is also influenced heavily by advertising dollars. Once, when I was on Martha Stewart’s television show, the dairy lobby sponsored the episode, and her trainer was forced to mouth the talking points of the Dairy Council touting milk as a fabulous sports drink. Studies may show some benefit, but studies funded by the food industry show positive benefits eight times more than independently funded studies. In a new editorial by two of the nation’s leading nutrition scientists from Harvard, Dr. David Ludwig and Dr. Walter Willett, in JAMA Pediatrics, our old assumptions about milk are being called into question. Perhaps it doesn’t help you grow strong bones, and it may increase the risk of cancer and promote weight gain. It is bad enough that the dairy industry recently petitioned the FDA to sneak artificial sweeteners into chocolate milk. They want their “shake and eat it, too” by pushing milkshake-like flavored milk drinks into schools as a “healthier” option, even though they have 30 grams of sugar per cup. By cutting the sugar and adding artificial sweeteners to low fat or non-fat milk drinks, the idea is that they would be healthier. Except for the fact that recent studies have found that one diet drink a week increases your risk of type 2 diabetes by 33 percent and a large diet drink increases the risk by 66 percent. What about low fat milk or non-fat milk? These are the healthier options, right? Wrong. Ludwig and Willett note that there is scant evidence that fat makes you fat, despite this commonly held mistaken belief. Reducing fat in milk reduces its ability to satisfy the appetite (which fat does) and can promote overeating and hunger. Often, the fat in the diet is replaced with sugar and refined carbohydrates, which clearly has been shown to promote obesity and type 2 diabetes. Studies show that reducing fat in the diet, which parallels an increase in starch and refined carbohydrates in the diet, not only increases hunger but also may actually slow metabolism. In one study, Dr. Ludwig found that those who ate a low fat, higher glycemic diet burned 300 calories less a day that those who ate an identical calorie diet that was higher in fat and lower in glycemic load. For those who ate the higher fat, lower glycemic diet, that’s like exercising an extra hour a day without doing anything! More concerning still is that, in studies of kids and adults, those who consumed low fat milk products gained more weight than those who ate the full fat whole milk products. They seemed to increase their overall intake of food because it just wasn’t as satisfying as the real thing. In fact, those who drank the most milk overall gained the most weight. It makes logical sense. Milk is designed to quickly turn a little calf into a big cow and contains over sixty different hormones, most designed to boost growth. But shouldn’t we stick to low fat milk to reduce our intake of saturated fat? The fact is that, while your LDL or bad cholesterol goes down by reducing saturated fat in the diet, the protective cholesterol, HDL, actually goes up by eating saturated fat improving the ratio of total to HDL cholesterol, which is the most important marker of your risk of heart disease. Switching out saturated fat for carbohydrates actually increased the risk of heart attack in a 12-year study of 53,544 adults. In fact, the whole story of the evil of saturated fats is in great debate. The evidence for linkage to heart disease turns out to be pretty weak indeed. If you ate only whole foods, fruits, vegetables, beans, nuts, seeds, and whole grains (not whole grain flour), you might be better off overall (although a recent scientific review of saturated fat dismissed the very notion that is it bad for you). But sadly, that is not what most Americans do when they switch to low fat. The sad thing is that many schools and “healthy” beverage guidelines encourage the idea that flavored milk is better than soda and that getting kids to drink more milk by any means is a good idea. This is dangerously misguided. There are 27 grams of sugar in 8 ounces of Coca Cola and a whopping 30 grams of sugar in 8 ounces of Nestlé Chocolate Milk. Sugar is sugar and drives obesity and diabetes. It is not a good way to get kids to drink milk. But that begs the bigger question. Do kids need milk? 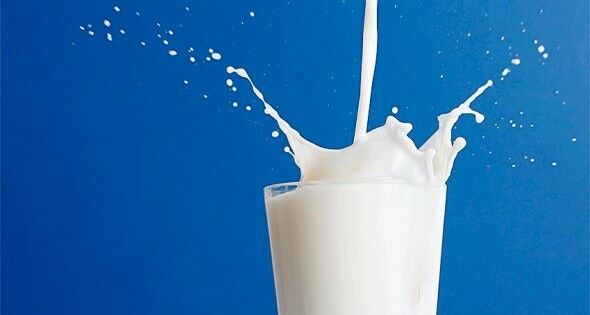 Is milk necessary for healthy bones and preventing osteoporosis? The data are clear, but our government polices don’t reflect the science. Dairy and milk products do not promote healthy bones. In a large meta-analysis, milk did not reduce risk of fractures. Other studies have shown it can increase fracture rates. And the countries with the lowest milk consumption have the lowest risk of osteoporosis and fractures. Calcium is not all it’s cracked up to be. Studies show that higher calcium intakes are actually associated with higher risk of fracture. Milk may not grow strong bones, but it does seem to grow cancer cells. Milk increases the hormone called IGF-1 or insulin-like growth factor, one that is like Miracle-Gro for cancer cells. Dairy products have been linked to prostate cancer. And cows are milked while pregnant (yes, even organic cows), filling milk with loads of reproductive and potentially cancer-causing hormones. There are other problems with milk, too. It increases the risk of type 1 diabetes. Dairy is a well-known cause of acne. And of course, dairy causes millions around the world (75 percent of the population) to suffer digestive distress because of lactose intolerance. It causes intestinal bleeding in 40 percent of infants leading to iron deficiency. Allergy, asthma, and eczema all may be triggered by dairy consumption. The US Department of Agriculture’s new My Plate initiative recommends three cups a day of milk for everyone! If you are two to nine years old, you get away with only two to two and a half cups. And the “key consumer message” is to switch to 1% or non-fat versions. Let’s just forget the science and spend taxpayer’s dollars to promote foods that we know are harmful, because money runs politics. To heck with the health of our citizens. Bottom line: Milk is not nature’s perfect food unless you are a calf and should not be consumed in large quantities by most people, because it can promote weight gain, cancer, and even cause osteoporosis. Write to your congressmen to encourage them to support changes to our food and farm bill policies that shape our nutritional guidelines and make them evidence based. The answer to the question, “Got Proof?” Heck no! Do you think we need to drink milk to be healthy? Do you agree that getting kids to drink more milk is a good idea? Have you recently cut dairy from your diet, and if so, do you feel better? What are some good dairy alternatives that you’ve discovered? 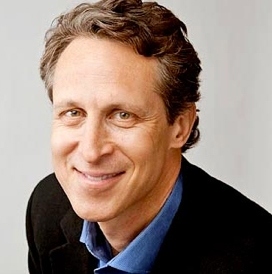 Dr. Hyman is dedicated to identifying and addressing the root causes of chronic illness through a groundbreaking whole-systems medicine approach called Functional Medicine. He is a family physician, a four-time New York Times bestselling author, and an international leader in his field.